Make a difference.Make an impact. Our mission is to help raise awareness and reduce the financial toxicity of a cancer diagnosis by providing assistance for daily non-insured expenses for women currently being treated for any gynecological cancer in northeast Georgia. Hearing “you have cancer” is bad enough, but imagine wondering how you are going to continue to working to pay the bills, put food on the table, and even get to work! Cancer does not care, but we do and we are here to help. 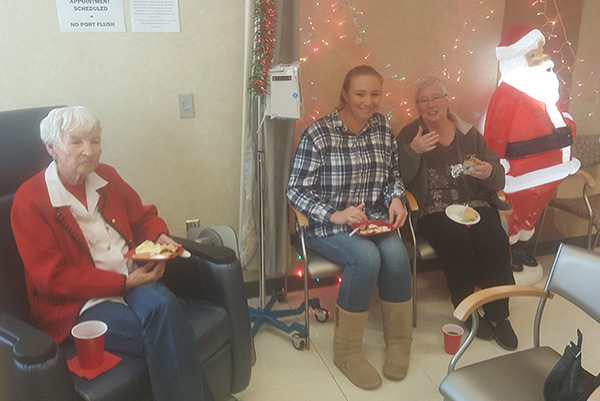 Please take a moment to look over our website to learn how you can make a difference in the lives of women and their families who are undergoing treatment. We hope that you will want to join in our effort and remember, your donation is 100% tax deductible. Laugh and cry as PCGS founder Sue Sigmon-Nosach describes how she found the courage to speak candidly about her journey into the world of a cancer that people only whisper about. Learn where it has – and continues – to take her and her art. Make a difference. Ease the burden. 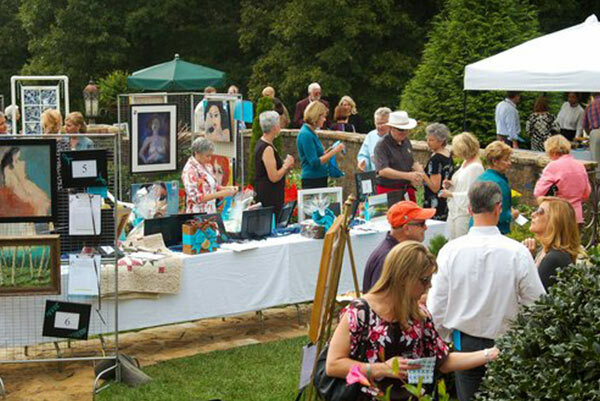 The sixth annual A Broad’s Brush ~ A Toast to Teal ~ an auction and fundraiser to benefit PGCS will take place on Sunday, September 29, 2019 at the Chattahoochee Country Club in Gainesville, GA. 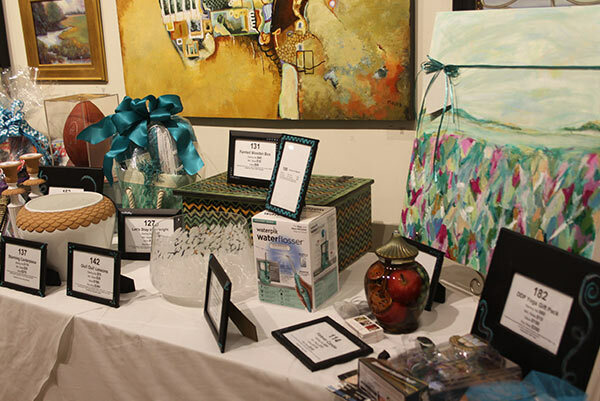 Mix and mingle with our survivors, friends and supporters – while bidding on fabulous silent auction items, winning great prizes in our “game room”, and don’t forget to buy a raffle ticket for a chance to win one of five prizes valued at over $500. Bring your BFFs and make the scene for a good cause! Time 2-5 PM. Keep checking back for more information. PGCS is an all volunteer organization that takes no salaries and depends entirely on corporate grants, memorial gifts, general private and public donations, and one annual fundraiser to assist others. PGCS was originally funded in 2013 through the generosity of the Gambill Family Foundation and Ken and Debbie Torbett. These founding patrons enabled the mission of PGCS to begin to be a channel of assistance for women in the greater North Atlanta metro area and NE Georgia. Since our inception, many others – both individuals and corporations – have helped us expand our mission. Their support and recognition of our efforts is truly appreciated. Become a volunteer or an advocate to ensure that our good work keeps going. No matter your passions or interests, there’s a place for your gifts on our team. We would love to hear from you and can’t wait to work with you. As you might imagine, helping others in their cancer journey is not free. That is why we need businesses and people like you. Perhaps you will choose to donate in someone’s honor or memorialize a loved one – either way your gift will help make a difference.